They find they are one tree and not two." Donna & Judy met in a Xena online chat room and share a love of all things Minion. Their wedding was sweet and obviously filled with giggles and playfulness. Actually, there wasn't a summer vacation. However, there was a lot of love beginning with my first wedding of the season officiated by Sister Festivus Illuminata (pictured below). 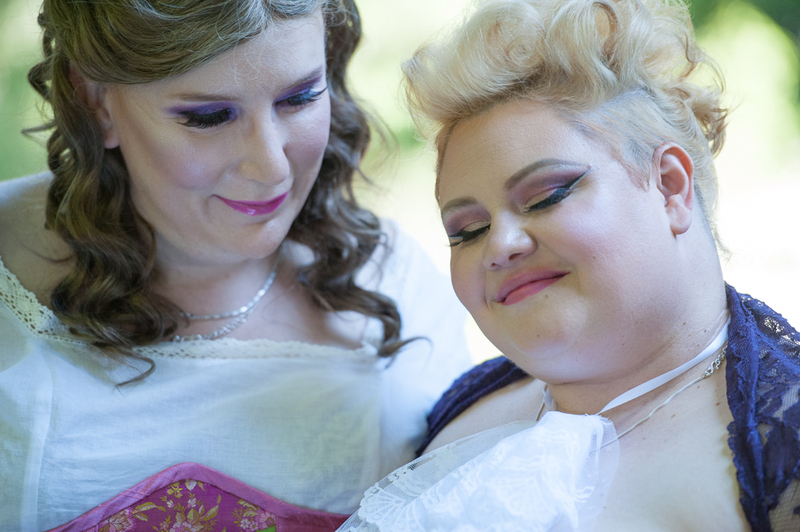 The intimate wedding of Jennifer & Jocelyn was the first wedding ceremony ever performed in Canada by a Sister of Perpetual Indulgence. The Sisters are a worldwide 21st Century order of Queer Nuns who's lifelong vow is to spread universal joy and erase stigmatic guilt. Photographing the 'first look' is one of my favorite parts of a wedding because the moment can be so emotional. 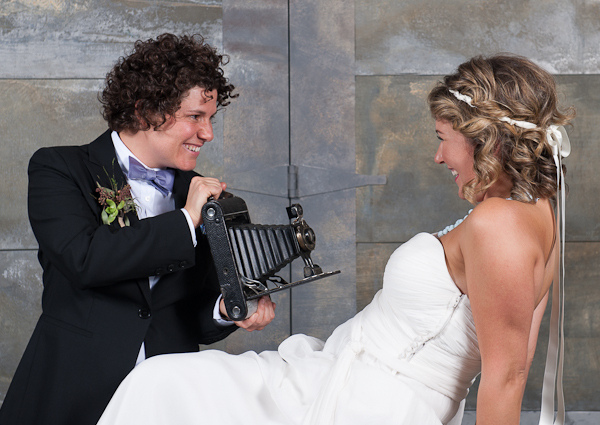 Amanda & Clare were married October 3rd in Vancouver, BC and decided to have a traditional first look. 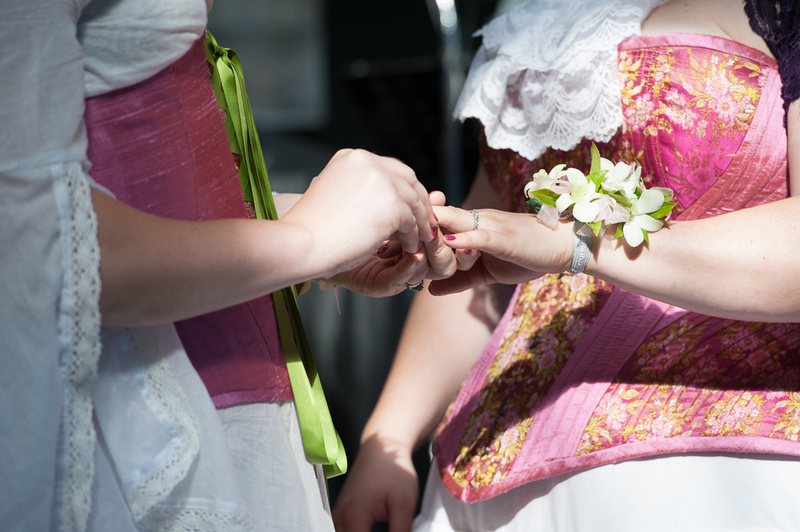 They did not see each other the day prior to the wedding and had not seen each others outfits. We held the first look at the Bill Reid Gallery courtyard where they used to meet for lunch. I couldn't resist prolonging the anticipation by making them pose back to back for an extra few agonizing minutes. Their elegant and romantic ceremony was held at Steamworks atrium in Vancouver’s historic Gas Town in front of a gorgeous window that overlooked the harbor. Adelle & Robyn were married in St. Andrews-Wesley Church and delivered in style to Granville Island by Tikki Tikki PediCabs. The ride was such a blast and they nearly lost their photographer a few times en-route!! The theme of the wedding was tropical and the essence was pure fun. Champagne kisses, bicycle and ferryboat rides, and dancing in the streets. The colours of their wedding were warm and inviting as are they. It was a joy to photograph this sweet and laid back couple who so obviously completely and utterly adore each other. Special thanks to my wonderful Assistant Photographer Bridget Shacklette. 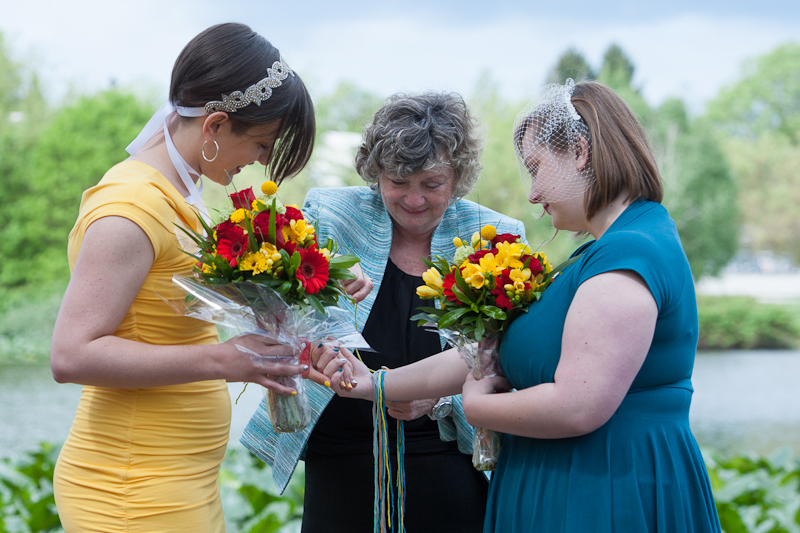 Jennifer & Jocelyn's wedding was colourful to say the least! 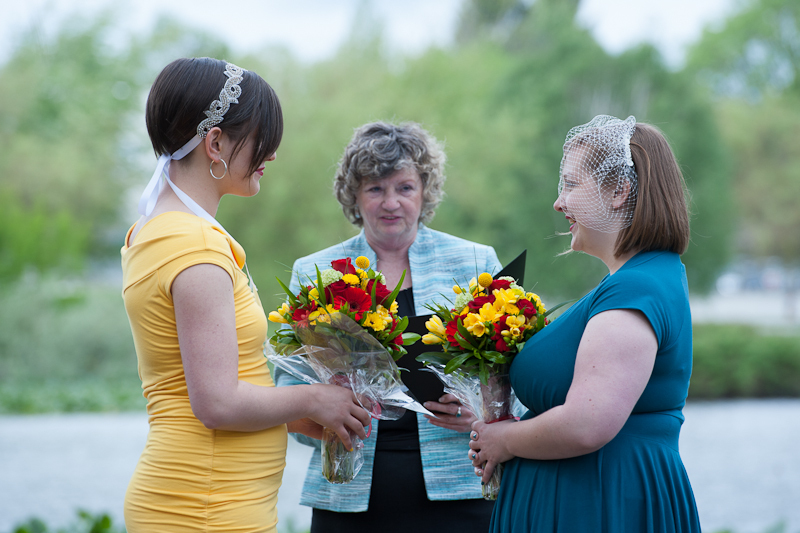 The first wedding officiated in Canada by Sister Festivus Illuminata of the Vancouver Sisters of Perpetual Indulgence. I look forward to photographing many more vibrant and loving unions Officiated by Sister Festivus. 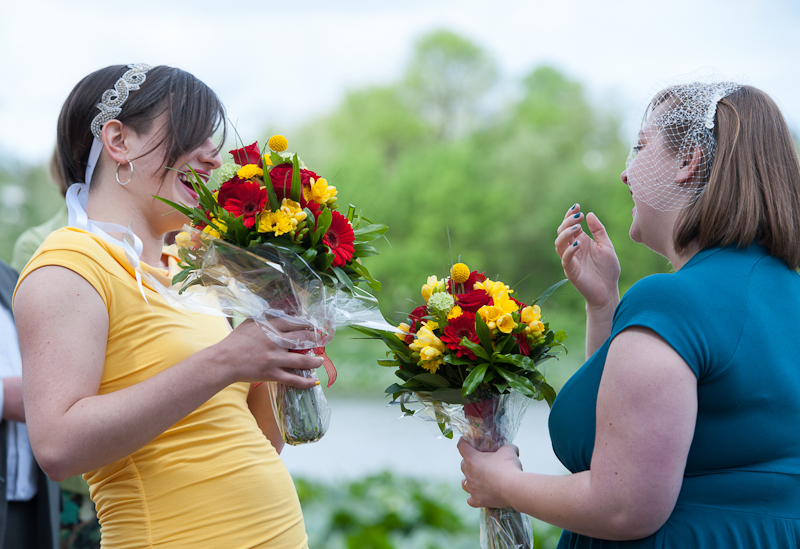 Emily & Christina contacted me after seeing one of my previous weddings featured on the Bicycle Built for Two website. They requested that I take equally beautiful images of their wedding. 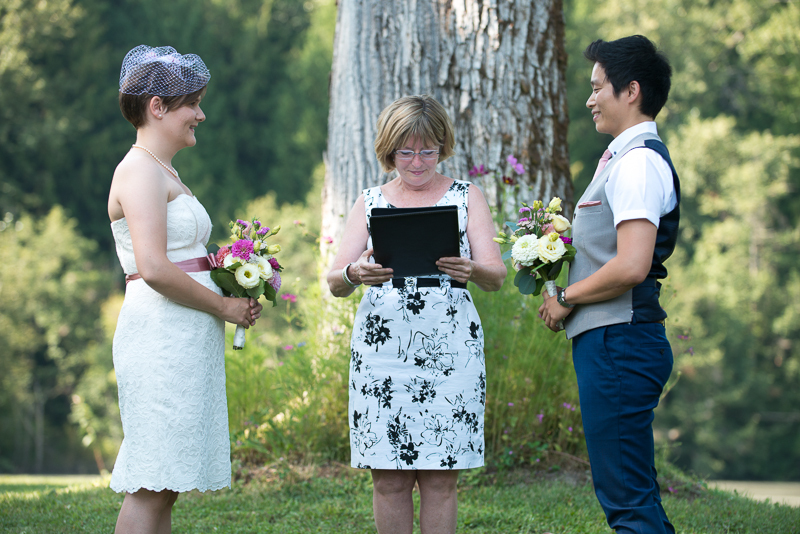 I was up for the challenge and excited for their day, as it was also my first ‘destination’ wedding at the beautiful Spring Valley Farm in Pemberton, BC. What struck me most about this couple was their gift for creating family. Their immediate families attended the wedding and also the family they had nurtured with their closest circle of friends. 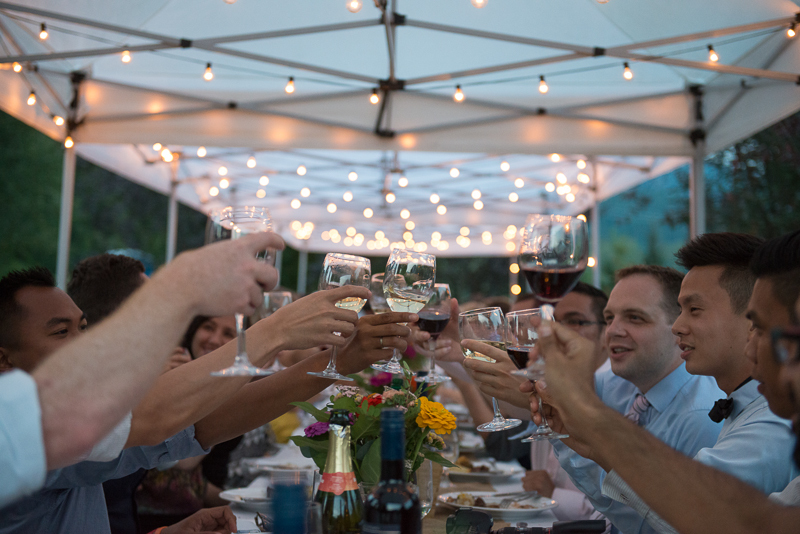 This is a couple that opens their arms wide and we experienced that in profound way when we found that they had set a place for us at their banquet table. It was an honour to photograph their day and to be included in the celebrations as well. 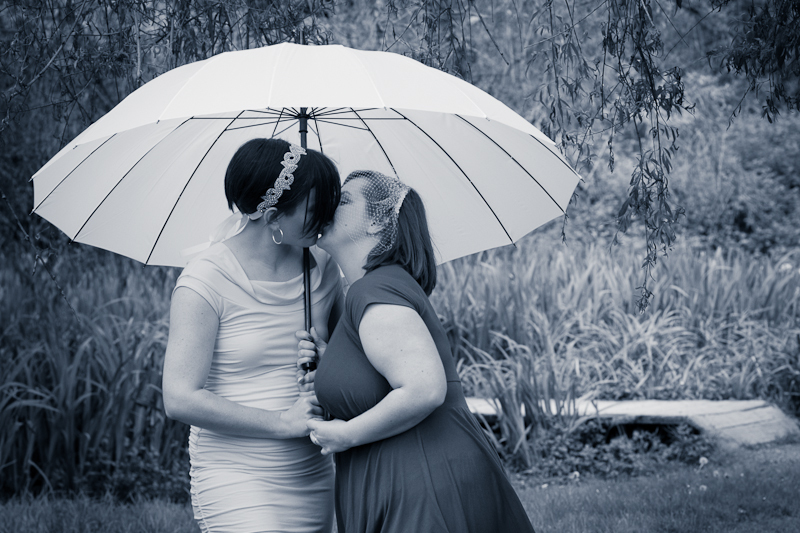 I love photographing intimate weddings. 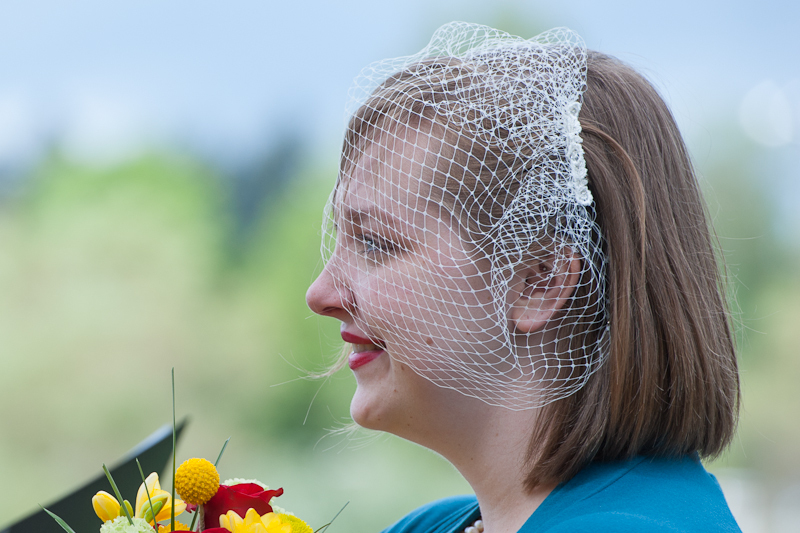 My first wedding of 2014 was at Trout Lake in East Vancouver. Surrounded by only their immediate families my two brides looked beautiful against the lush spring back drop. 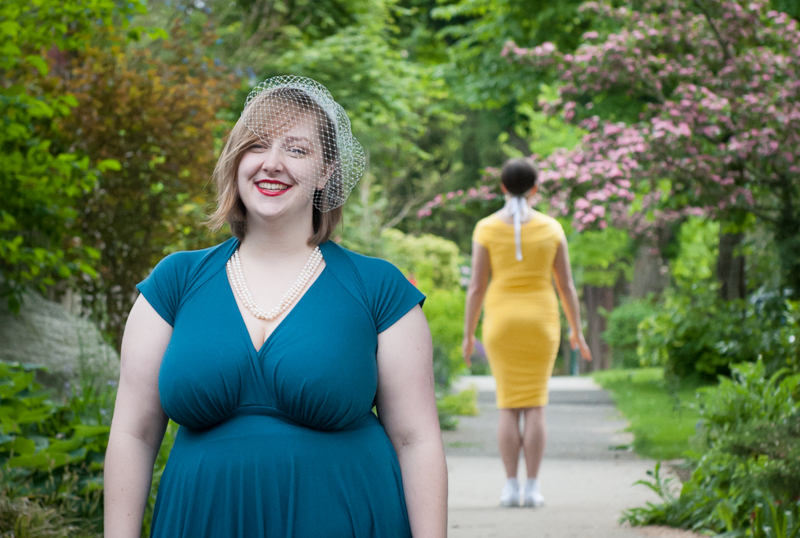 Sarah-Nelle and Aislin found me via the 'A Bicycle Built for Two' blog which featured one of my weddings. 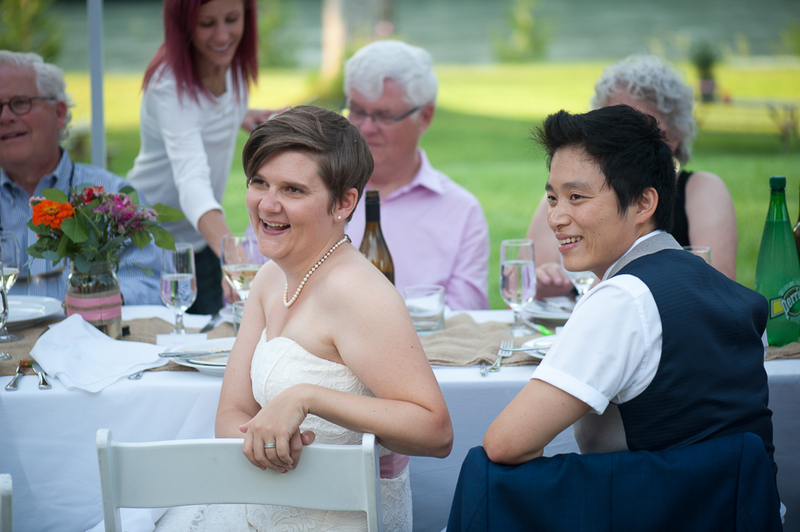 Currently living in Calgary, the two met in East Van and wanted to exchange their vows here. After the ceremony we grabbed coffees at Turks and took a leisurely stroll down the Drive doing portraits. My fav moment was the street vendor who congratulated them and gave them both flowers. It was a lovely day. 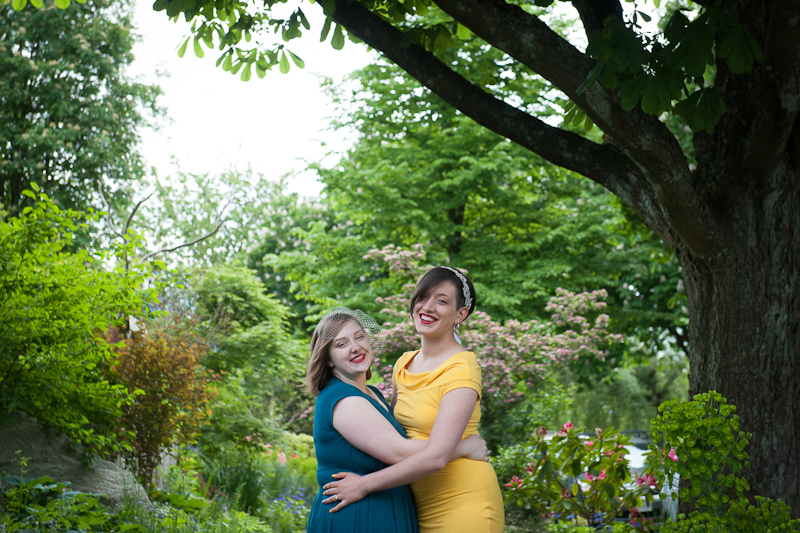 Connie and Taryn are so adoreable and were such an absolute delight to photograph. Here are a few of my favorite moments from their sweet and magical day.